Boulder, Colo: SKI and National Park Trips Media are two of more than 500 social media influencers, well-known consumer brands and travel companies that have partnered with TripAdvisor, the world’s largest travel site, for its Nov. 13 new site and mobile experience launch. The new TripAdvisor expands its community beyond travelers to brands like SKI and National Park Trips Media, so travelers can follow and connect with content creators who share information relevant to their interests. For instance, if a TripAdvisor member is interested in visiting Grand Canyon National Park, she can log into TripAdvisor and discover her home page transformed into a personalized feed of information. When she searches for “Grand Canyon,” a 48-hour park itinerary from National Park Trips Media, along with a friend’s review of a park hotel and a food critic’s article on the best nearby restaurant may appear. National Park Trips Media develops itineraries, tips and stories for the best destinations along the roads to the country’s most popular national parks. Its content is an excellent fit for TripAdvisor members looking to plan an unforgettable national park road trip. From first chair to last call, SKI is the go-to guide for passionate skiers and savvy travelers. SKI embraces skiers of all attitudes and abilities, delivering the action of the world’s most exciting sport without any of the arrogance. Its staff covers hot trends, the best gear, expert instruction and insider advice on mountain destinations, reaching lifelong skiers and sophisticated travelers. By partnering with TripAdvisor on its new Travel Feed, SKI can share content with an even greater community of skiers, get feedback on where people are excited to ski this season, and inspire its audience to get out and travel. Members will be able to follow trusted brands like SKI and National Park Trips Media whereas the previous version of TripAdvisor didn’t have that capability. If they are near one of the places reviewed by SKI or National Park Trips Media or anyone they follow, they’ll receive a notification. To follow SKI and National Park Trips Media, simply log into TripAdvisor, search for their profile pages and click on “Follow.” Members also will be able to share and repost content to Facebook, as well as post and see videos, articles and curated trips. In addition, members can create “Trips” that can be private or public itineraries or wish lists of things to do while traveling. SKI and National Park Trips Media are based in Boulder, Colo., and are part of Active Interest Media, one of the world’s largest enthusiast media companies. 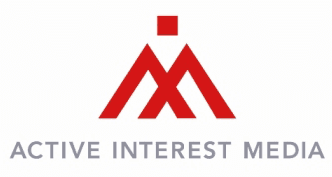 Active Interest Media (aimmedia.com) produces leading consumer and trade events, websites, magazines, and films and TV shows that reach 40 million readers, fans, and attendees in 85 countries. AIM’s brands include Yoga Journal, Backpacker, Clean Eating, Anglers Journal, Yachts International and Team Roping Journal.